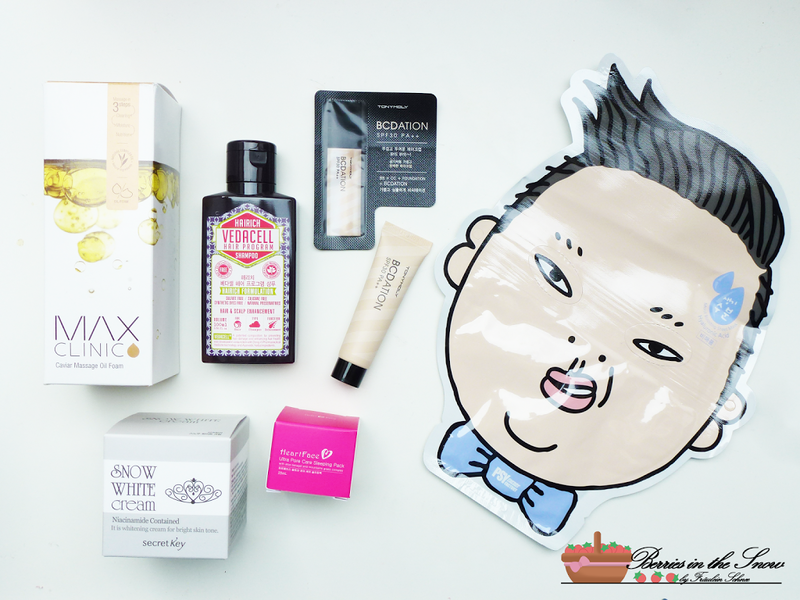 This funny sheet mask comes in a fun packaging showing PSY’s face. You can use this as a real mask, too…for example if you want to give your friend’s a heart attack jumping out of nowhere while wearing this mask. I already tried it and it is a nicely moisturizing mask. Nothing exceptional, but nice if you love using sheet masks. This shampoo is free from sulfates, silicon and synthetic dyes and made with natural preservatives. I didn’t try this one yet, but I’m looking forward to do so, because I love testing new shampoos. I was really happy about this, because I saw it the other day online and I wanted to try it. This is a BB+CC foundation and could be thus a time saver for those using both CC creams and BB creams. I tried it already and a review will follow. this Sleeping cream is supposed to moisturize your skin, minimize pores and control sebum production. I used it once and although I thought that it might be drying because of the pore care effect my skin felt smooth the next day. I will continue using it and write a detailed review on this. I wanted to try this cream for a year now and here it is. I’m so happy about it. this is a brightening cream, which is free from mineral oils, benzophenones, phenoxyethanbol and artificial pigments. It contains Niacinamide. I used it daily since I received it and I like it. There will be a review soon, too. So, just by chance my foam cleanser was empty and this one arrived to replace it. It is already integrated in my nightly routine. It is made from caviar oil and is supposed to clean your face from make-up and dirt. I’m happy with this box. I use both the fullsize product daily and I’ve used the other products as well (except of the shampoo) and I’m absolutely happy. I ordered some more boxes and I cannot wait for them to arrive. A very good box, filled with a lot of nice products. I’m curious about the MAX Clinic Caviar Massage Oil Form Cleanser, it sounds very luxurious. would love to read a review about that one. Thank you for sharing this, in my country this kind of box doesn’t exist (with korean cosmetics), we have only the meikabox which is very modest. 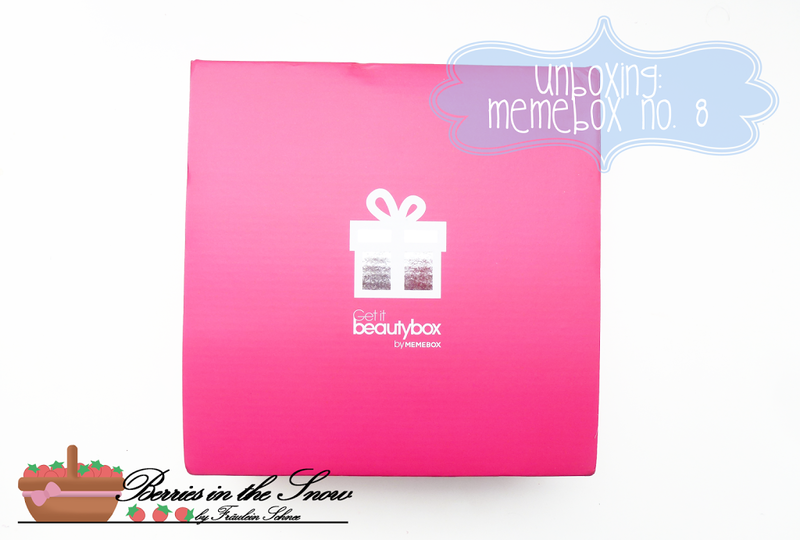 Awesome box, I can’t wait to your reviews on the pore minimizing night mask and the snow white cream! Oh I am SO going to hunt for one of these boxes as soon as possible! 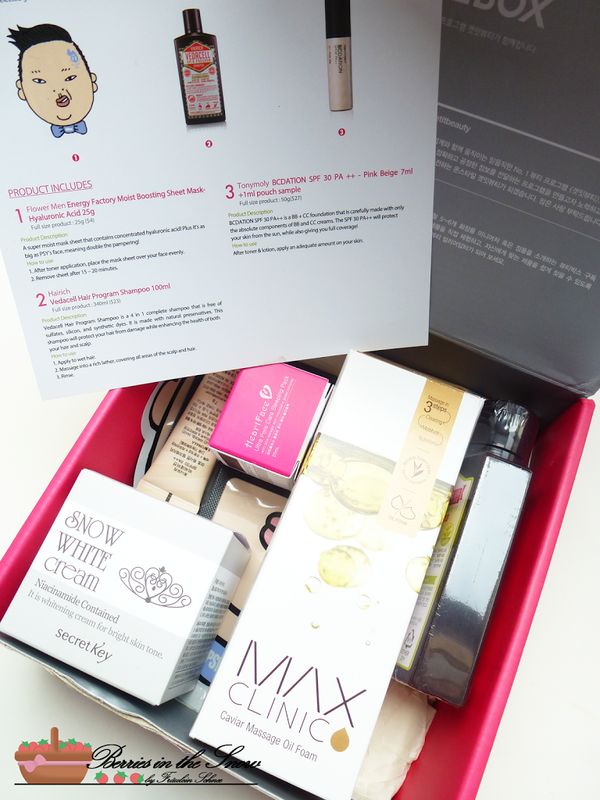 I loved the idea of the Glossybox and now that I know there is a similar version with Korean cosmetic products, I’m completely hooked! I wanted to try the Snow White cream too. I look forward to a review. Been a while since I’ve had a chance to read any of my favourite blogs. Must have a catch up!